Owning a home is much more than a status symbol or even a secure place for your family to live. You can benefit financially by taking advantage of tax benefits that are specific to homeowners. However, if you don’t understand what these are, then you may not be motivated to purchase your own piece of real estate. Did you know that the interest on your mortgage payment is tax deductible? That’s right, you can claim this amount every year and then deduct up to a million dollars of that amount from your tax bill! How much of a benefit would that be if you either put that money into home repairs or kept it in an interest-bearing account to earn even more? This is a benefit that is not available to renters so you are actually making a profit off of your house by owning it. 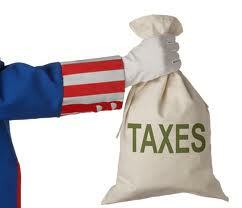 The real estate taxes that you’re assessed each year are also tax deductible. Once again, this is a way for you to get some of those finances back that you have paid out through the previous 12 months. This is also why it’s so important that you keep track of your financial expenditures so it’s easier to fill out your tax forms. If you have all this information written down from month to month, all you need to do is transfer the final total at the end of the year. Improvements that you make to your home can also be tax deductible depending on what kind they are. For example, the federal government is encouraging more homeowners to use sustainable power such as solar panels or insulated windows. To accomplish this, there are rebate programs in place that can be used by homeowners when they file taxes. If you purchase a solar kit for your home or replace older windows with more energy efficient models, keep track of the purchase receipts. This is the proof you’ll need to show what you spent during that time. Of course, there are more as the tax laws change all the time. However, this is a good place when you start to evaluate whether it’s profitable to purchase a home. If you use a tax professional, they can help you identify some of these refunds as well. Then, you’ll be able to take the difference and improve or repair various portions of your home. This increases the value of your home and helps you build equity. Owning a home can be a wonderful way to save money if you know how to do it properly with tax benefits.